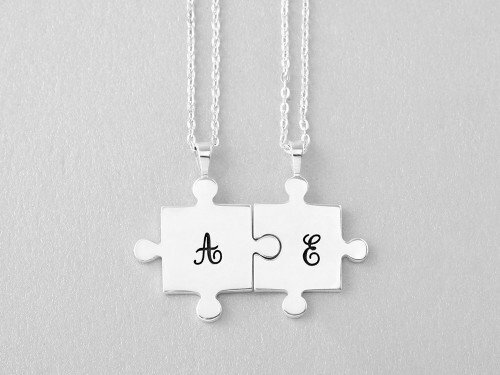 "You and me are great together." 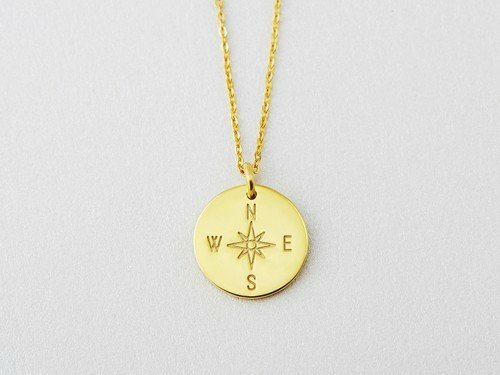 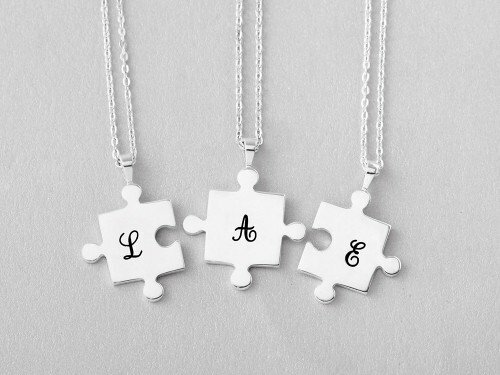 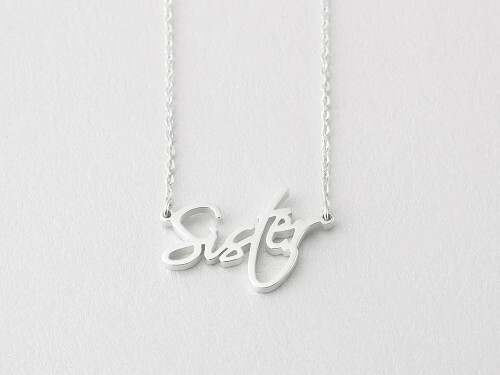 These sister necklaces are meaningful with one necklace fits perfectly into the arms of the other. 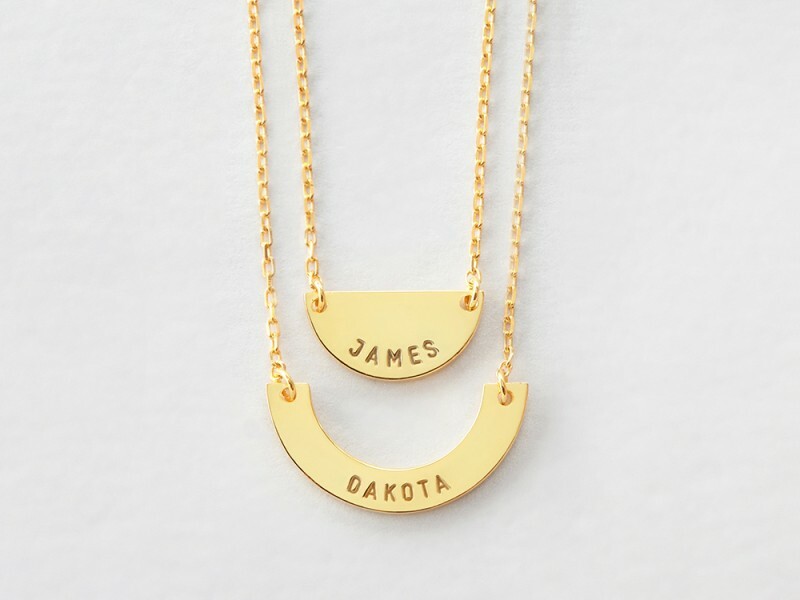 Personalized with the sisters' name, these half moon 2 sisters necklaces are stunning and meaningful ways to wear your name. 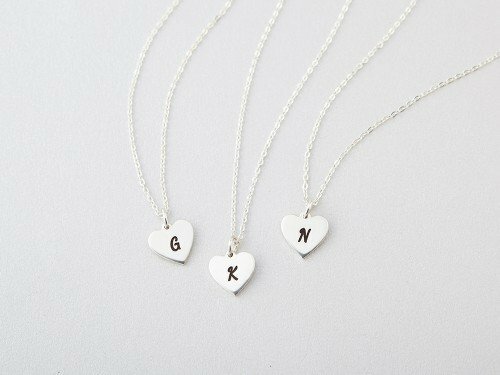 You can also have big sis's necklace with lil sis' name, and vice versa.